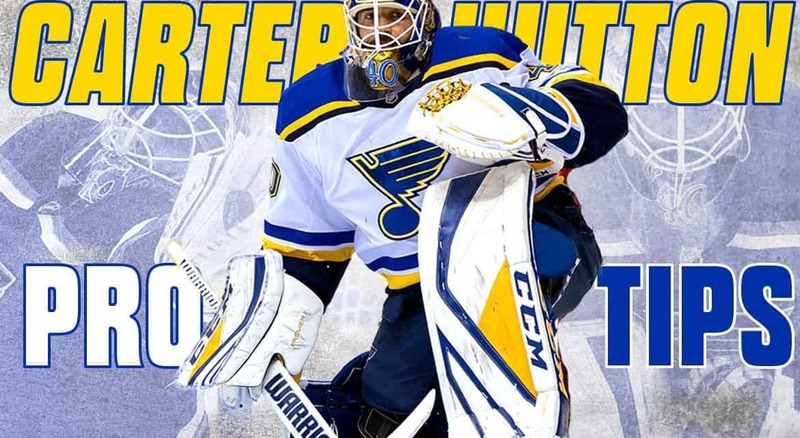 Carter Hutton has already shared some great advice on how to play well went you aren’t playing often, including having the right mental approach, trying to get out of a goalie school mindset, and how to deal with practices that aren’t always good for the goalies, but the St. Louis Blues goaltender has one more important key to staying sharp. For Hutton, translating practice time into strong games means training your eyes. Hutton already outlined the importance of ensuring you can track shots in practice in Part 3 of this series, saying he will back shooters up a bit if they are unloading too close. When it comes to training his eyes off the ice, there wasn’t an opportunity to work directly with Hutton in-season, so we turned instead to Josh Tucker of True Focus Vision, who regularly trains a handful of NHL goalies, including this great look at his work with Minnesota Wild No. 1 Devan Dubnyk. For more from Tucker and True Focus Vision, who will be doing a regular series of drills and tips here at InGoal, be sure to subscribe to their Youtube Channel, follow them on Twitter, and Instagram. In the first drill, what kind of ball is that and where could one purchase it?